Hear more about Beyond Celiac from founder and CEO Alice Bast, in her own words. 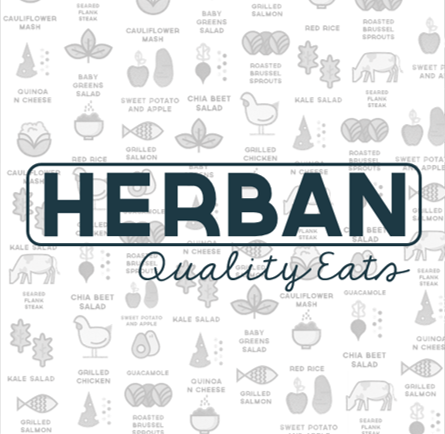 The area's newest all-gluten-free restaurant opened yesterday. 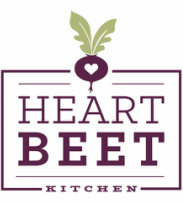 Heart Beet Kitchen in Westmont (29 Haddon Ave., 856-240-1106) offers a plant-based menu that includes salads, smoothies and desserts. Brunch is available on weekends. New to nearby Collingswood is the first New Jersey location for Sabrina's Cafe (714 Haddon Ave., 856-214-0723), where Taffets' sourdough bread is on hand and many items can be prepared gluten free. These options are available at the other Sabrina's locations in Wynnewood (50 E. Wynnewood Rd., 484-412-8790) and in Philadelphia (910 Christian St., 215-574-1599; 1804 Callowhill St., 215-636-9061; 227 N. 34th St., 215-222-1022). 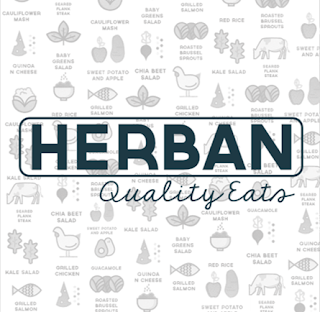 Healthy create-your-own Herban Quality Eats has opened in the University City section of Philadelphia (3601 Market St., 267-281-8920). All menu items except the whole-wheat noodles and Thai peanut sauce are gluten free. In Tuesday's post, I reviewed the Japanese pub Izakaya, located at the Borgata in Atlantic City. 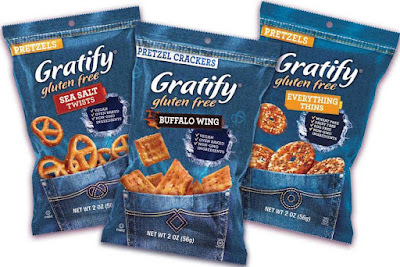 Gratify Foods introduced new 2-ounce snack packs that will be sold in convenience stores next year. The bags will be available in three flavors: Sea Salt Pretzel Twists, new Everything Pretzel Thins and new Buffalo Wing Pretzel Crackers, each with a suggested retail price of $1.49. Van's newest gluten-free soft baked granola clusters come in a Double Chocolate variety. This is my last post of 2015. Heartfelt thanks to my new and longtime readers for joining me this year. Have a Merry Christmas and Happy New Year!